If you’re looking for an indication of just how bad things have gotten between Kevin Love and his Cleveland Cavaliers teammates, look no further than this clip from last night. 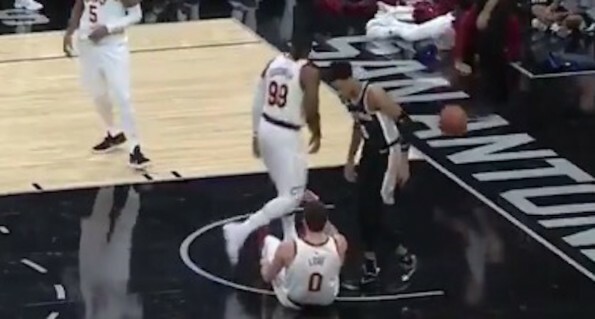 During the Cavs’ loss to the San Antonio Spurs, Love was knocked to the ground after taking an elbow to the face from LaMarcus Aldridge while trying to grab a rebound. Aldridge would eventually lay it in for two points, and as Cavs forward Jae Crowder went to retrieve the ball to inbound it, he walked right past Love’s outstretched hand, leaving his fallen teammate on the ground, like he didn’t even exist.